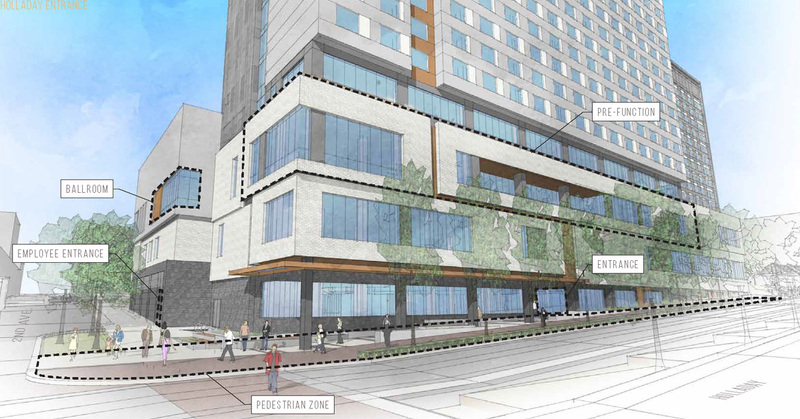 The project team behind the planned Hyatt Regency at the Oregon Convention Center have returned for a third Design Advice Request hearing in front of the Design Commission. 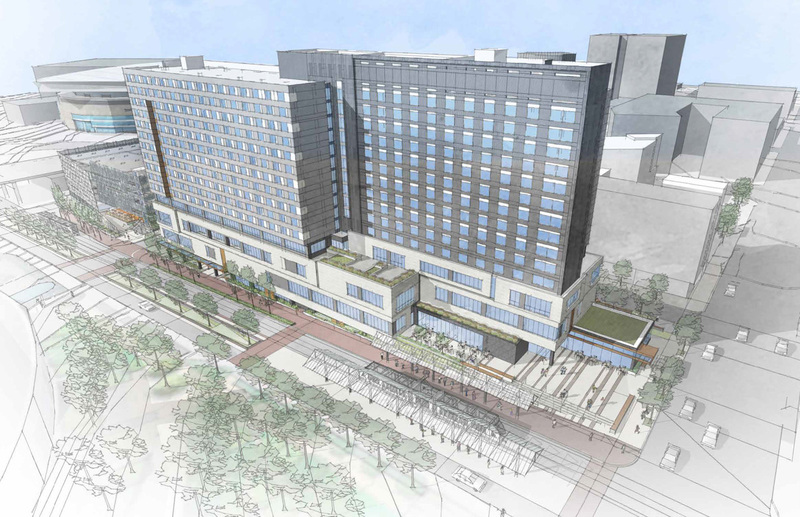 The $212 million, 600-room Convention Center hotel is being developed by Minneapolis based Mortenson, with a design team that includes ESG Architects, Ankrom Moisan Architects and Mayer Reed Landscape Architecture. 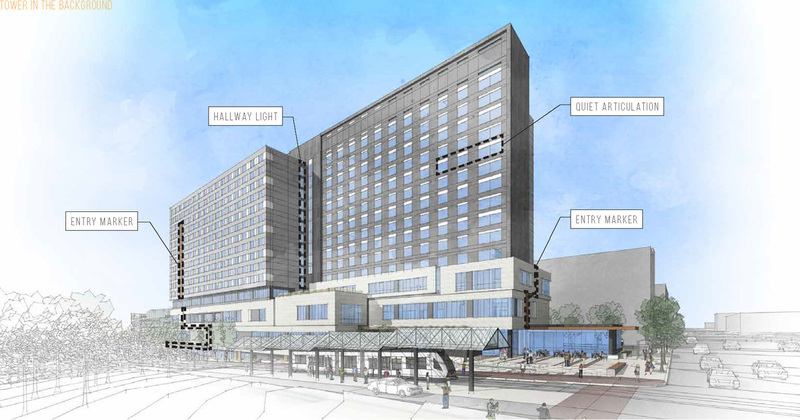 The hotel is in part being financed by $60 million of Metro issued bonds, which will be backed by lodging taxes paid by hotel guests. 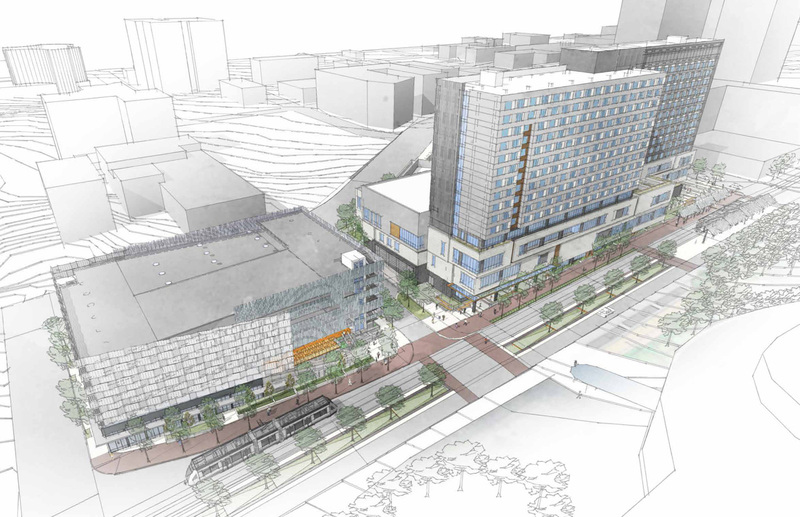 The site for the proposed hotel is a superblock in the Lloyd District, directly across the MAX tracks from the Oregon Convention Center. The site is bound by NE Martin Luther King Jr Blvd, NE Holladay Street, NE 2nd Ave, and the under construction NE Hassalo Place. The Union Apartments are nearing completion across NE Hassalo Place. 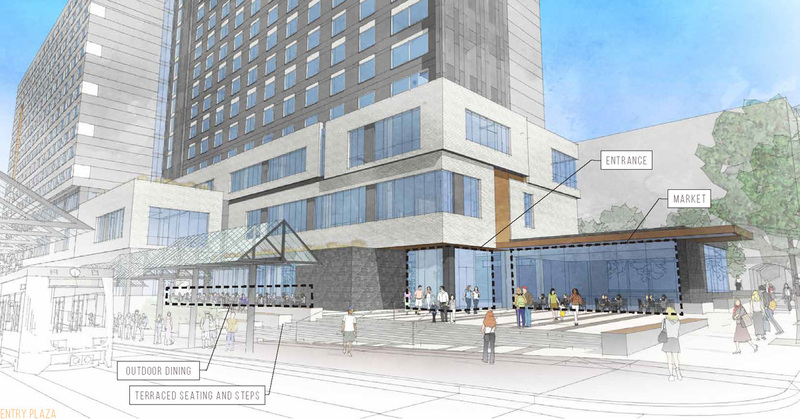 The design concept for the hotel is that it be a “quiet tower” that doesn’t compete with the Convention Center spires. 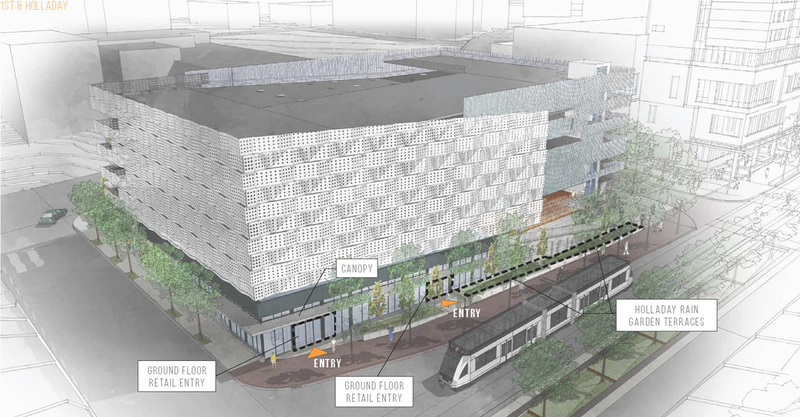 The Design Advice hearing focussed heavily on the interaction between the hotel and NE Holladay Street, on which the MAX runs. 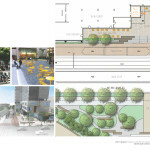 The street is being designed as a showcase for green infrastructure, with connected green roofs, terraces, bioswales and rain gardens. 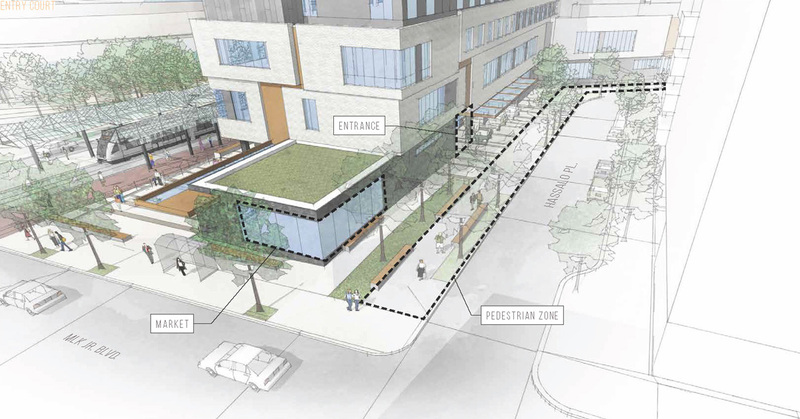 While welcoming the intent behind the landscaping, the Design Commission expressed strong reservations about whether the hotel elevations shown were creating the required public realm quality. 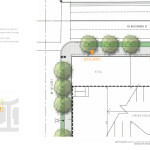 In particular the need for a more prominent and welcoming entrance from NE Holladay St was repeatedly stressed. 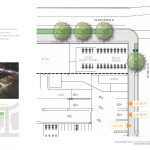 The Commission also expressed unanimous support for returning to the podium concept presented at the second Design Advice hearing. 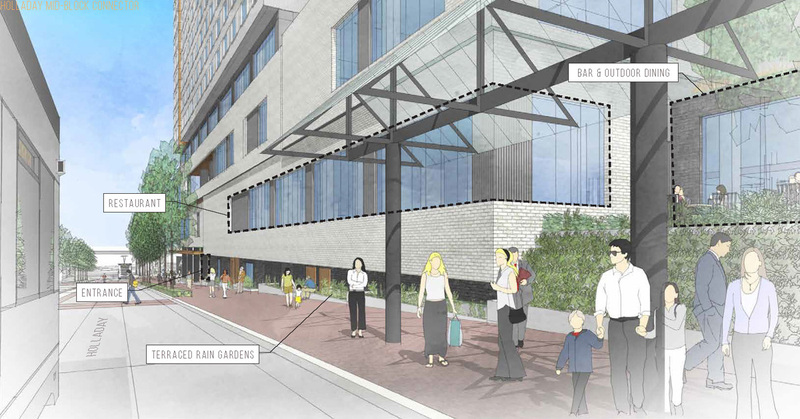 At the second hearing the Commission voiced strong reservations about the porte cochere design on NE Hassalo Place, which pushed pedestrians against the building to avoid the vehicular drop off traffic. 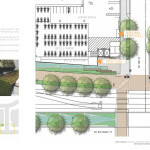 At the most recent hearing this had been redesigned to create a continuos pedestrian path along the street, which was welcomed by the Commission as a significant improvement. As part of the project, a parking garage will be built on Block 49, one block to the west of the hotel. 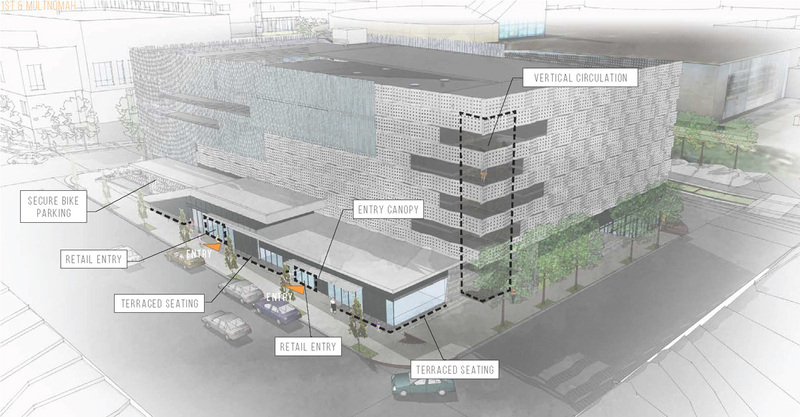 The garage will include 385 vehicular spaces and ground floor retail uses. 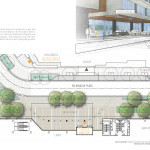 A significant amount of bike parking will also be provided, intended primarily for the use of hotel employees. 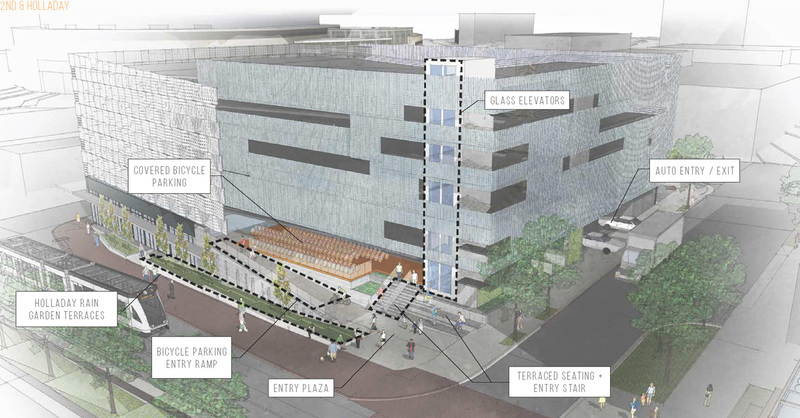 The structure is being designed to accommodate a possible future office tower on NE Multnomah. 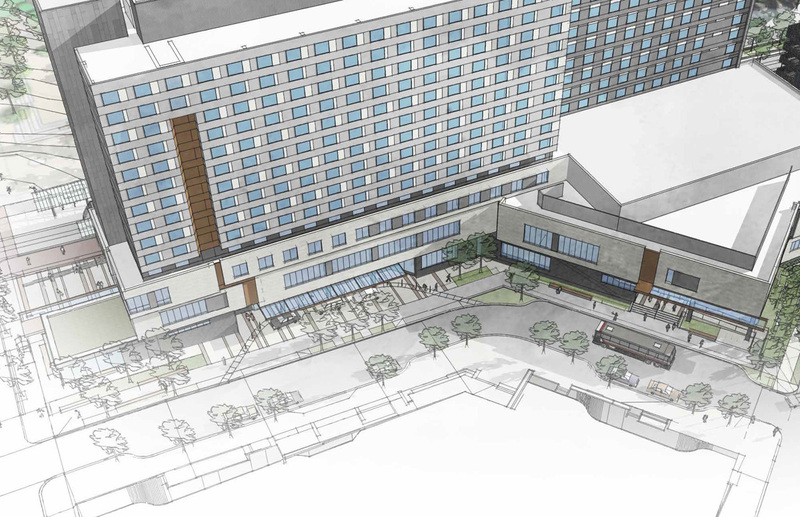 A memo [PDF] to the Design Commission, published prior to the hearing, noted that not much information has been provided on the overall quality, materials and details of the proposed hotel. The memo suggested a 4th Design Advice Request may prove beneficial prior to the applicant submitting for a Type III Design Review. 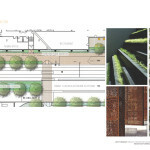 This entry was posted in Ankrom Moisan, Convention Center Hotel, ESG Architects, Lloyd District, Mayer Reed, Mortenson. Bookmark the permalink. 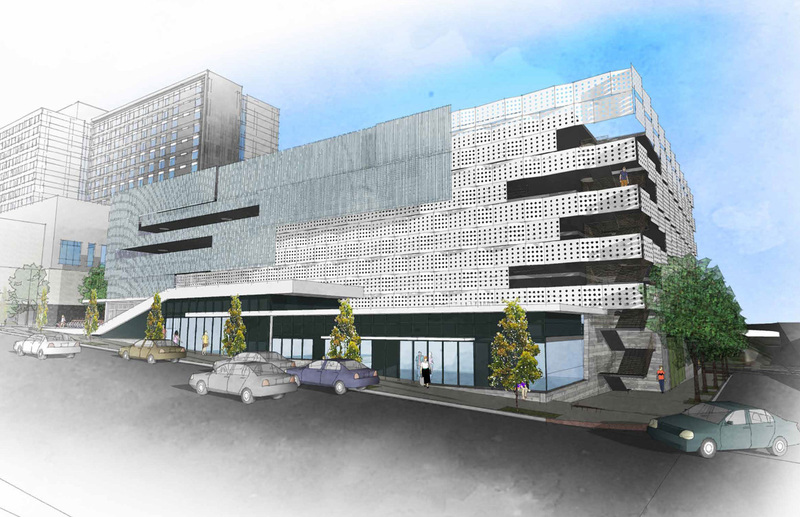 That parking garage is awful and I think they will have a tough time leasing the retail. 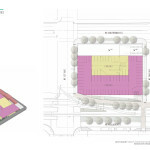 There is a lack of foot traffic in the area and they’re not helping matters by building a parking only structure. They are also being disingenuous by saying that an office building may eventually be built on top of it. Best example is the US Bank parking garage across the street from the tower on 5th. That was intended to be the base for a office building rivaling the tower in size. They even have elevator shafts already there. But building codes change over time and make doing things like that uneconomical. But we’re left with an ugly shell of a garage with empty promises of the “future”. The sidewalk and MAX platform seem in coherent. 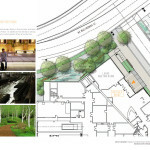 It would be nice if the MAX station elements, such as seating, ticket vending and rain protection were built into the building. Rather you have a sidewalk competing with a transit station. 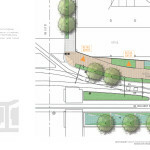 The brick wall and the rain garden send a fortress like signal that are less than welcoming to people using transit. 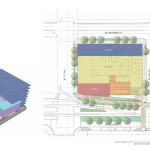 Regarding the parking garage on 5th, do you have a source to the once proposed building of a tower there? I have noticed the giant unused shaft, but didn’t realize that was the original plan. I’ve been looking online but I can’t find anything. Perhaps someone else knows something. I do recall reading that it was supposed to have a 20 or so story tower on top of it. It would be nice to see the building “finished” as it’s one of the uglier buildings in Portland, especially with that goofy elevator shaft. But economically, it probably makes little financial sense to build on top of that building vs an building on an empty or underused lot. Although I can no longer remember the year (it was in the 1980s) I do recall that when the parking structure on SW 5th was approved, despite some opposition, the applicant’s (prominent) land use attorney said something to the effect: “As sure as I am standing here a hotel will be built over the parking garage within X years.” With regard to the Convention Center hotel, when it was first discussed at Metro almost a decade ago, the renderings showed no separate parking structure and the tower was higher. That was also long before there were 20 other hotel development or redevelopment projects and proposals in the central city. 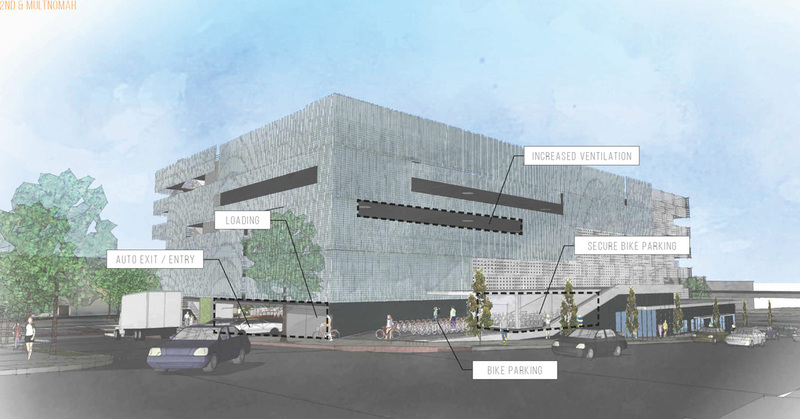 agreed, the parking garage is hideous! “Quiet Tower.” Ha! So sad. Interesting all the cartoon pictures are of white people. Thought Portland was diverse. 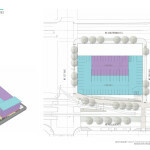 The parking garages on E Broadway, the ones serving the Moda Center campus, were also designed and built at considerable additional cost to support future development on top of them that never arrived. Now they would not meet current standards so it is money down the drain. The lot should never have been allowed to have a parking garage built on, especially paid for with public money! That is one the best connected lots in the central city! 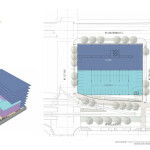 If the Hotel needs parking, even though it is built on the MAX line, it should be beneath the hotel! 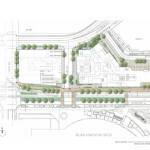 This insults decades of planning an investment in transit. This parking garage is an absolute embarrassment to the city. It is ugly, completely unnecessary, is a waste of public money, and communicates the wrong message about Portland. 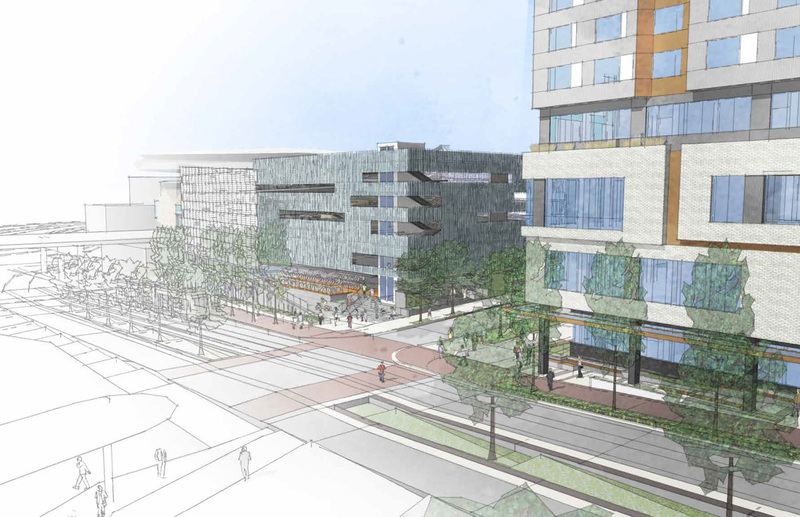 Also, if you’re spending $60 million of public money, I expect you to produce something beyond a SketchUp rendering. This area is becoming increasingly connected to transit, and the auto-centrism is being phased out. MAX, Streetcar, bike lanes. 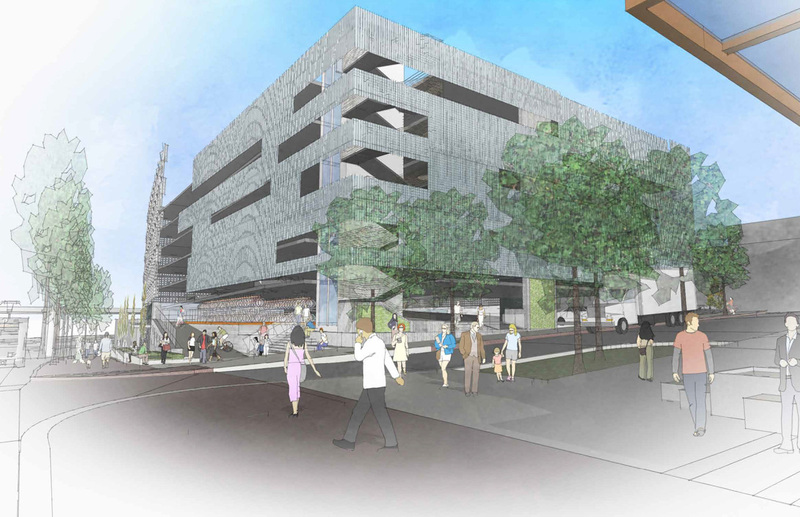 A parking garage here will not only send the wrong message about Portland, but will be out of place in contrast to all of the excellent multimodal work that has been accomplished in this area. 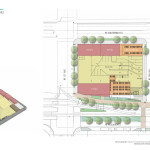 The price tag for this project is already substantial – why not bump it up a bit, and build the parking underground?